Thanks for your interest in our vacation condos at the Kona Reef. Our two bedroom unit is ideal for a large family, and can sleep up to 6 persons, with two bathrooms. Our one bedroom units can sleep up to 4 persons, have a single bath, and are comfortable and roomy. All are fully equipped with everything you could need for a comfortable stay, and are clean and modern. Each unit has a full kitchen, including microwave, stove, oven, fridge, coffee maker, coffee grinder, blender, toaster, and more. Each has a washer and dryer inside the unit, ceiling fans, air conditioning, large TV in the living area, and a TV in the bedroom with king size beds in most. High speed internet (WiFi) is provided, with free calling to the US Mainland and Canada. The Kona Reef is ideally situated on the edge of town, within easy walking distance of restaurants, and shopping. 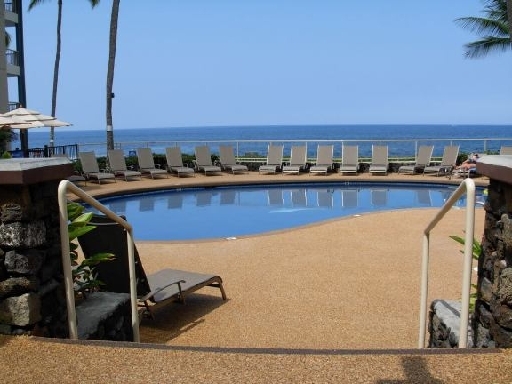 The close proximity to town makes the Kona Reef one of the most preferred locations for a Kona vacation rental condo. 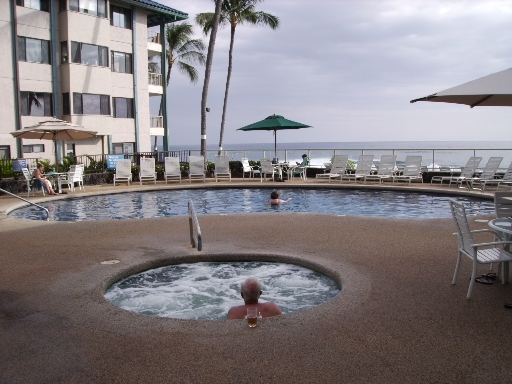 Amenities are important, and your Kona vacation rental at the Kona Reef has an oceanfront pool and spa with a BBQ area, and lots of lounge chairs available to relax in the sun, or under the gazebo while you cook fresh fish on on one of the gas grills. Relax in the SPA before bedtime for a good nights rest. Compare the Kona Reef to other condos, and you will understand why guests return to the Kona Reef year after year. Feel free to contact us now at 888-269-3229 for more information, or to make your reservation. Aloha, see you soon. 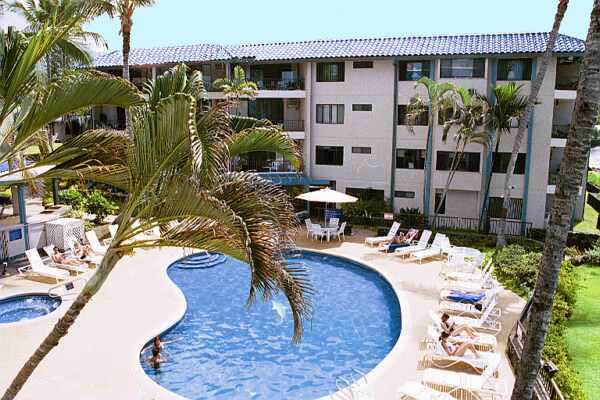 Are you interested in owning a vacation rental condo? You can Search Listings and Get Information right here. © Copyright 2012 Kenneth C Peters (B). All Rights Reserved.